East Midlands Trains (EMT) will now run services on the UK’s East Midlands franchise until at least August 2019 after the Department for Transport (DfT) took up an option to extend the contract for another year. The train operating company – which is owned by Stagecoach – has been the franchise holder since 2007, but its current contract was due to end in March 2018. In March this year, three firms were shortlisted to run the new franchise: Arriva Rail, First Trenitalia and Stagecoach. Today, the government re-issued expression of interest documentation for the new franchise and announced that Stagecoach will have its current contract extended until March 3, 2019 – with the intention to strike up an interim agreement until August 2019. 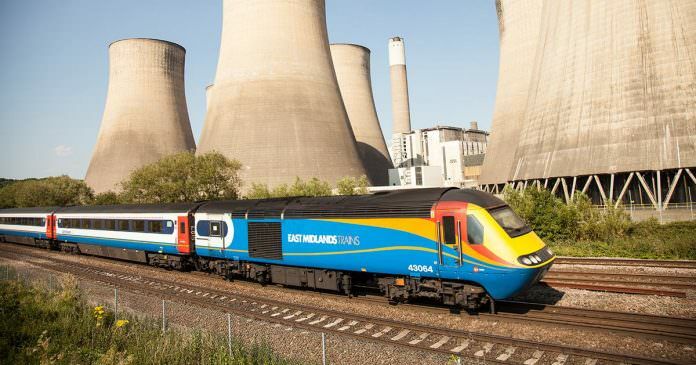 The announcements were made on the same day the government revealed it would be scrapping the electrification of the Midland Main Line north of Kettering to Sheffield and backing the rollout of bi-mode trains instead – something that wouldn’t have been factored in by the original bids. The DfT said that with the change of circumstances it was giving other parties the opportunity to bid on the franchise. When approached, Stagecoach declined to comment. Surely the current rail franchise model no longer fit for purpose and open to abuse! -Just look at the new SWT Franchise playing games with train procurement with perfectly serviceable trains left in the sidings, many of which most likely never run again in the UK. We need an independent review on UK rail franchise process as the main beneficeraries of the current process being State Rail Operators from other countries making profits and using them to reduce fares on their country’s network. This a gross misuse of public money in the UK, totally unfair on UK customer/passenger and needs to be addressed.